Movie clips captured with a Sony A7S ILCE and Samyang Cine Lenses by Abhijit Chattaraj for http://www.markgaler.com (the Sony Alpha Creative Community Online). were announced nearly 2 years ago. Michaels has this set available for hire as a kit, and they come in their own tough case. cost if you decide to purchase any of the lenses. usually depends on which country the lens is being sold. They’re all exactly the same products just under different badges. For a long time, cine lenses (or t-lenses), have lived in the exclusive domain of high-end film-making and expert cinematographers. They were expensive and only available for selected camera mounts. 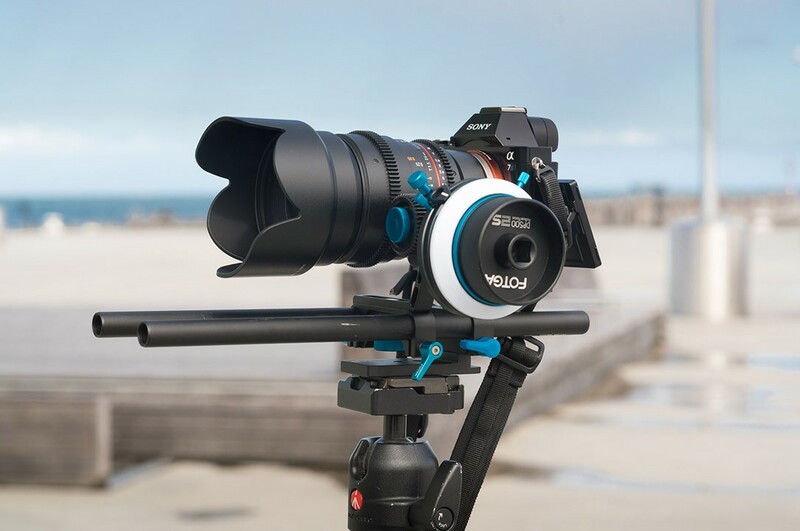 For better or worse, the Samyang family of cine lenses, turns all these conventions on their head—and opens up the world of “cine” to pro-sumers and DSLR or Mirrorless film-makers. How are these lenses different from “normal” Lenses? t-stops instead of f-stops: F-stops are usually a mathematical estimate of the amount of light a lens captures. T-stops are calculated by physically measuring the light coming through the lens. This makes t-stops a more accurate and precise measure of the aperture of each lens. In addition, moving between lenses during a shoot, t-stops are more reliable in maintaining consistency in lighting. Clickless aperture: The camera operator can change the aperture or “pull iris” smoothly without causing vibration in the camera. Iris-pulls are used by skilled cinematographers to maintain consistent levels in scenes where light levels might be changing quickly. The lenses are available to hire (try before you buy) from Michaels Cameras (Melbourne, Australia). The lenses felt solid and well finished. When operating, the lenses are completely internal focusing with no change in the length of the lens and no rotation of the filter thread. This is a key features as it allows the cinematographer to use screw-in filters and rod mounted matte-boxes. The aperture scale appears along the side of the lens barrel (instead of the top as is usual on stills lenses) and allows setting exposures to a fraction of a stop in the 1.5-22 stop range. The aperture and focus rings move smoothly with just the right amount of resistance. We had heard of complaints that the focussing ring was noisy——but did not experience this in any of he 5 lenses that we tested. Manual focussing on was not a problem with the focus peaking feature in the Sony A7S camera we were using. We used a Fotga follow-focus rig and the focus action was smooth and accurate. These lenses are an excellent alternative to more expensive cinema lenses due to their simpler construction and manual controls. These lenses are a great alternative for shooters using small form factor cinema cameras such as a Scarlet, Black Magic, the 5D family, or the Sony Alpha range. cinematographers) have been complaining about a lack of PL mounts and the use of plastic in the housing. However, we feel given the price of the lenses, these are minor gripes. 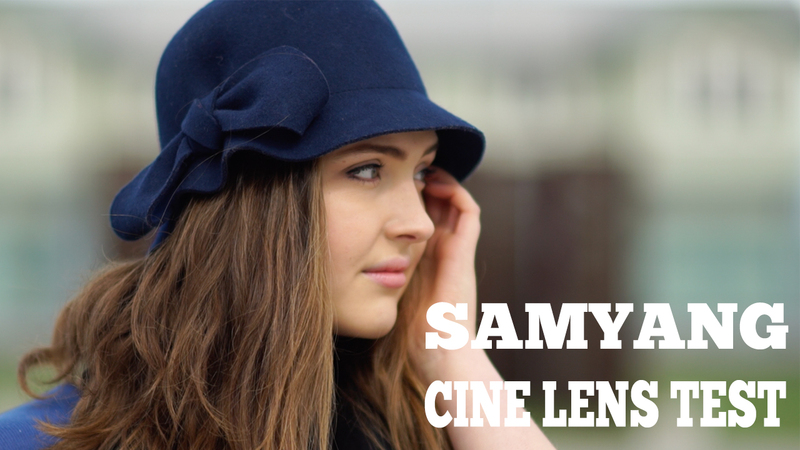 Perhaps in response to these voices, Samyang has launched the Xeen line of cine lenses that have very high build specs and are are nearly 4-5 times the price of the VDSLR range. Watch this space for a review of this exciting new line. This entry was posted in Blog, Reviews and tagged cine, E-Mount, Lenses, review, Samyang.